Fresh Start Carpet Cleaning is the leader in residential carpet cleaning in the Philadelphia area. Our service is far superior to our competition and we are a family owned company. We guarantee that you’ll be satisfied with every aspect of our work before we leave your home. Our customer reviews are numerous and we urge you to do your research before hiring any carpet cleaning company. We utilize truck mounted carpet cleaning machines that deep clean your carpet with steam and hot water. Our service includes a through inspection of your carpet, we then pre-treat all of your rugs with our special hi traffic cleaner, next we rake your carpet to bring any dirt to the surface that might dwell deep down in your carpets fibers. Our nest step is the extraction process, we steam clean your carpets with 90 degree heat and pet safe detergents that will remove stains, pet odors and germs from your rugs. Our truck mounted equipment utilizes hi powered vacuums that dry the carpet fast, leaving your rugs just damp and nearly dry when we are finished. 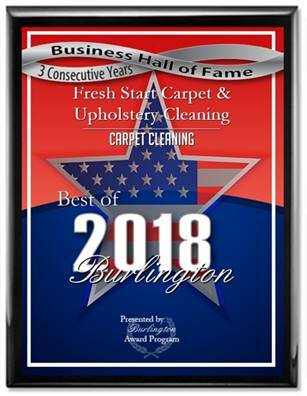 Fresh Start Carpet Cleaning is your best source for carpet and rug cleaners in Philadelphia, Pa.
Upholstery Cleaning in Mt. Laurel, NJ.